ETLJB is the leading internet site publishing current news from East Timor in English on major legal and political developments in this young nation. 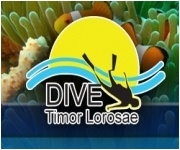 Information in ETLJB posts is sourced from national and international media, civil society law and justice organisations, the United Nations, the Government of East Timor and the National Parliament. New posts are published several times a week and frequently on a daily basis. ETLJB has been online since June 2008 and has received more than 564,000 page views (as at 13/10/2012). In addition, we have 203 email subscribers to our feed service as well as 147 feed-reader subscribers along with 27 permanent blog followers (as at 13/09/2012). On Twitter, we have 171 followers. Our audience is mainly from the United States, Indonesia, East Timor, Australia, the United Kingodm and Norway. Hotel Esplanada - One of the premiere boutique hotels in the new Timor Leste. An image ad incuding link on the Home Page is $25 per month for a full banner ad (468x60), or $15 per month for 125x125 (small square). We can provide rotating image ads. Payment may be made securely by Paypal. Proceeds go towards maintaining and improving the East Timor Law and Justice Bulletin. Contact us at wwright1961-at-gmail-dot-com or click on the Contact Us link on the Home Page to use our email contact submission form if you would like to place an ad with us and be a supporter of law and justice in East Timor. (c) all other advertising services provided to the Customer by ETLJB in relation to Advertisements (“Other Advertising”), (together referred to as “Advertising”). 2. TERMS INCONSISTENT: The placing of an order for any Advertising by a Customer constitutes acceptance by the Customer of these Terms and Conditions and of all rates set out by ETLJB unless otherwise agreed in writing by ETLJB. To the extent that any order submitted by the Customer attempts to include terms that are inconsistent with these Terms and Conditions, those terms will not apply. 3. CUSTOMER: The expression “Customer” means the advertiser and, where any Advertising has been placed with ETLJB by an advertising agency, includes that agency, and all obligations (including payment obligations), warranties, indemnities, releases and discharges expressed to be given under these Terms and Conditions by the Customer are expressed to be given by the advertiser and the advertising agency on a joint and several basis. 4. ENTIRE AGREEMENT: These Terms and Conditions (including any insertion orders, booking confirmations and any credit terms if applicable) set out the entire agreement between the parties in relation to any Advertising and supersedes all prior arrangements, undertakings, representations and warranties by or between the parties in relation to such Advertising. 5. SUBMISSION OF ADVERTISING: If submitting any Advertisements, the Customer must comply with any applicable submission requirements and deadlines notified to the Customer by ETLJB. Where an Advertisement has not been submitted in this manner ETLJB will not be obliged to accept the Advertisement for publication. ETLJB may also charge the Customer in full with effect from the publication date in the relevant insertion order. (a) Subject to these Terms and Conditions, ETLJB will use its reasonable endeavours to publish Advertisements submitted by Customers in the format submitted by the Customer and in accordance with the placement instructions of the Customer or agreed insertion order. (b) Without limiting the above, if ETLJB, reasonably believes that the placement instructions of the Customer for an Advertisement are inappropriate for any reason, ETLJB may offer the Customer alternate placements. 7. CANCELLATION (BANNER ADVERTISING): Any cancellation of Banner Advertising by the Customer must be made with at least 30 days written notice. Advertising cancelled with less than 30 days notice will be forfeited by the Customer and ETLJB is under no obligation to provide any refund or credit in respect of the notice period. (e) give rise to any liability on ETLJB, cause ETLJB to be in breach of any law by virtue of publishing the Advertisement, or result in a claim being made against ETLJB. (b) The Customer acknowledges that it remains responsible for all Advertisements submitted by it and ETLJB has no obligation to review any Advertisement nor to alter, amend, cancel, reject or refuse to publish or continue publishing any Advertisement. (d) the negligent or fraudulent act of ETLJB, its employees, officers, agents or contractors. 15. CONFIDENTIALITY: All information supplied by ETLJB to the Customer in relation to ETLJB’s finances and affairs, media locations, contracts, pricing, methods of business and any other information which is designated confidential by ETLJB or ought reasonably be regarded as confidential is confidential to ETLJB and the Customer must maintain and ensure that its officers, employees, contractors and consultants maintain strict confidentiality in respect of such confidential information. 16. NO WAIVER: If at any time ETLJB does not enforce any of these terms and conditions or grants the Customer time or other indulgence, ETLJB shall not be construed as having waived that term or condition or its right to later enforce that or any other term or condition. (b) place Advertisements (whether directly or indirectly) on behalf of third party advertiser(s) (whether as an agent or otherwise), except on terms previously agreed with ETLJB. Advertisements are placed by a Customer on behalf of a third party advertiser where, for example (but without limitation), the Advertisement promotes or otherwise notifies readers as to the goods or services of the third party advertiser rather than the Customer. 18. GOVERNING LAW: These Terms and Conditions are governed by, and construed in accordance with the law in force in New South Wales. The parties submit to the non-exclusive jurisdiction of the courts exercising jurisdiction in New South Wales, and any court that may hear appeals from any of those courts, for any proceedings in connection with these Terms and Conditions. 19. SEVERABILITY: If any provision of these Terms and Conditions is held illegal or unenforceable, then such illegality or unenforceability shall not affect the remaining provisions of these Terms and Conditions which shall remain in full force and effect. 20. ADDITIONAL TERMS: In addition to these Terms and Conditions the Customer acknowledges that all Advertising, including the conditions of payment, delivery and changes to or cancellation of such Advertising, will be in accordance with and subject to any specific conditions notified to the Customer or generally published by ETLJB from time to time, including on the ETLJB website. (b) if the Customer does not agree with a variation the Customer may cease placing orders with ETLJB. The Google page rank of any url to which any advertisement is linked must be at least 1. If the Google page rank of the linked url is less than 1, a surchage of $10 applies. Placement: Text link advertisements are placed only at the top of the side bar. Placement: Full Banner Advertisements are only placed immediately above the latest post (below the blog header and Google adsense banner). Small Square Advertisments are only place in the right side bar above the fold. Size: Banner advertisements are only available in Full Banner size (468x60) or small square size (125x125). If you are unable to provide the script that includes the image url, please provide the target url and the image url and we will create the script for an additional charge of AUD$20. For rotating banner advertisements, the script that we create will change the image and link to another set only after every page view or impression. Payment must be made by Paypal prior to the commencement date for the full term of the advertisement as specified above. A pre-payment view of the banner advertisement will be made available for inspection by the Customer and testing for a limited time prior to the commencement date. Payment must be made in Australian Dollars. Amendments to these Terms and Conditions and Payment Rates may be negotiated.